I saw this novel on the shelves one day when I was browsing at the book store (HELLO Kinokuniya! I love to loiter in your stores!). It was one of the best sellers and I was intrigued by the synopsis on the book. And then, I saw another version of the book cover with a huge sticker pasted on the front page: "Coming soon in the theatres!" And I knew I had to catch this movie when it comes out. "Let's take a selfie with my new iPhone 6 Plus!" Synopsis: Life is fragile. Just when you thought that the hardest decision in your life is whether to pursue your passion, or to live out your life with your true love, the car that you are in with your family gets into a car accident, and you are now a soul. A soul that has to decide whether to "go towards the light", or to remain in this dreaded life. 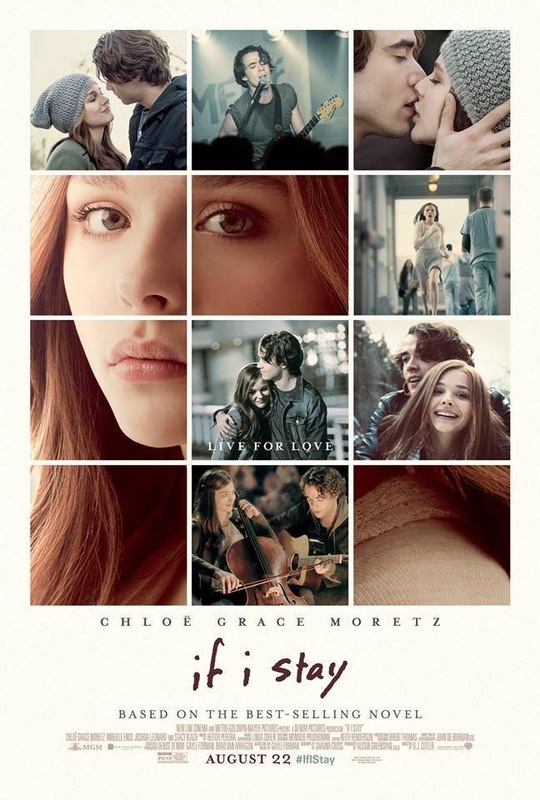 Review: I have to say that I did not shed any tear for The Fault In Our Stars, but I cried my eyes out for this one. And I wasn't the only one. I had a "3D Dolby Surround" sound experience of people sniffing, weeping and blowing their noses on my left, right and back. When lots of people cry in the cinema, you know that the film is a good film, because people only cry when you are emotionally attached to the characters, when you care for the characters. And that means good writing and good acting. Even though this is a tissue genre, there are lots of funny scenes that makes you smile and laugh at the characters. Besides, the male and female lead are both musicians, one a rocker and another a cello player, which makes this film really enjoyable. You shed tears with your eyes, you laugh with your mouth, and you get to immerse yourself in their music with your ears. 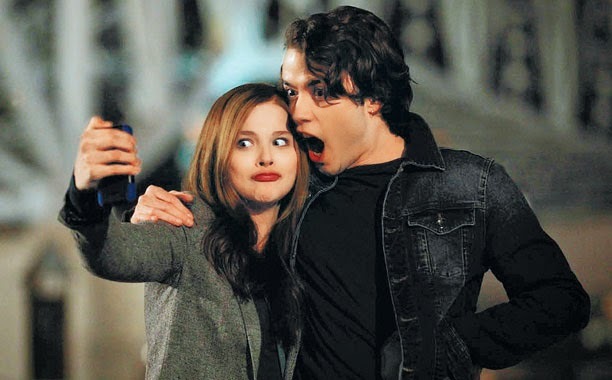 All your senses are engaged with If I Stay. If I were to name a season that is the most romantic, I have to say that it would be winter for me. And that is exactly what the director did - the romance scenes were beautifully shot in winter. Imagine snowflakes, white snow bed, and 2 person exchanging warm kisses in the middle. For guys, you will learn a lot of tricks from the male lead Adam, who seems to be one of the sweetest guy ever. The female lead, Chloe Grace Moretz, is really charming and pretty as well. I am totally in love with her after seeing her in this film. Stay back for: Put yourself in Mia's shoes. If you were her, will you stay? If you choose to stay, then stay back and watch the whole damn credits lor.